It might be cold outside, but Winter is beginning to wrap up, and we’ve started to look ahead to Spring! Keep in mind that our decorative sign posts and decorative street signs can go a long way in helping to promote the aesthetics of your neighborhood. Furthering the overall curb appeal of the neighborhood is something everyone can agree on, and we love seeing our customers take pride in their communities and neighborhoods; and our products can help foster that. We even heard from one customer that our products were able to save their HOA so much money that they were able to replace their tennis courts that year! We say that’s a pretty great way to ring in the springtime. Spring is a big time for homebuyers and sellers, and one thing to keep in mind is that decorative street signs can help to increase the resale value on your home. Our signs are durable and can weather the elements, while increasing your aesthetics. That’s something any homebuyer would be excited about. 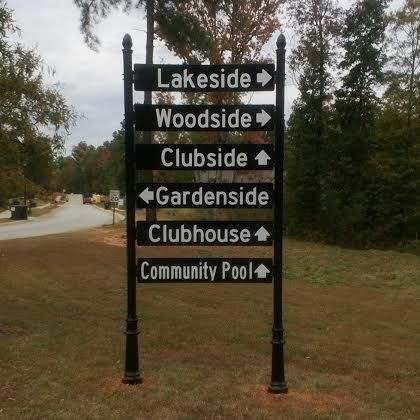 At the same time, Spring is a great time for your neighborhood to start planning community events, and as the weather starts to turn and everyone is ready to start being outdoors more, your HOA may want to utilize our signage that can help point people in the right direction towards neighborhood parks and recreation centers (or maybe even to those new tennis courts!). Most of all, your neighborhood is a reflection of its citizens and, at Capital Streetscapes, we want our decorative street signs and sign posts to aid in creating a unique design for your neighborhood. Our products offer high end, approachable design for whatever your next project may be. We’re here to make it happen. Contact a Capital StreetScapes representative for more information about our decorative street signs and street sign accessories including frames and hardware.